The possibility of having no boundaries is commonplace in two situations, in open minds and virtual simulation. A project born out of a teacher's need to solve a particular problem on his daily practice, strains the individual use and finds its appropriateness and recognition all over the world. The courses took place on Nablus city, at An-Najah National University Teaching Hospital and at Palestinian Ministry of Health Hospitals. One of our subscribers, MSc. Saleh Mohamed AbuLafah, a teacher, and nurse in Palestine is using the Simulators and the Xlung Platform to train his staffs, enabling them to their professional practice. We are a private company, headquartered in a country with tremendous political, social and economic troubles, but we believe that serious work, driven essentially by an honest philosophy, may be able to overcome barriers and make itself understood beyond our national "trenches". Pictures like these ones that we have in this news, feedbacks like that from Saleh, and many partners we have in Brazil and in other continents, stimulate us to continue our mission: to provide the mechanical ventilation teaching without borders! Yes! The Xlung’s fundamental proposition is change paradigms! Change the way you teach, get you out of teaching’s standard comfortable model. If the educational system does not yet hold this idea, the students demand the need of tools that can facilitates the medical concepts’ learning. 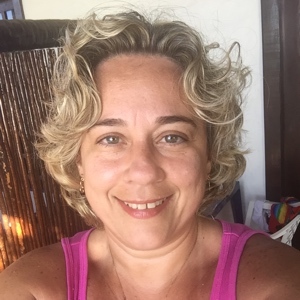 I am the author and / or proofreader of the texts inserted here, but today I particularly want to sign this one: Andréa Kelly da Silveira Carvalho, Brazilian, physiotherapist and Chief Operational Officer of Xlung Company. MSc. Saleh Mohamed AbuLafah in class with Xlung and his staff.